Hanoi (VNA) - The unemployment rate in Hanoi has increased slightly in the first three months of this year, with 7,113 people registered for unemployment insurance benefits, said the Hanoi Jobs Service Centre under the city’s Department of Labour, Invalids and Social Affairs. Figures from the centre announced late last month showed that nearly 2,000 more people registered for unemployment than last year’s first quarter. The number of people registered for benefits in March was about 3,120, 1.88 times higher than in February. Nguyen Toan Phong, director of the centre, said the rise was caused by narrowing production scales of businesses, branch closings and bankruptcy. 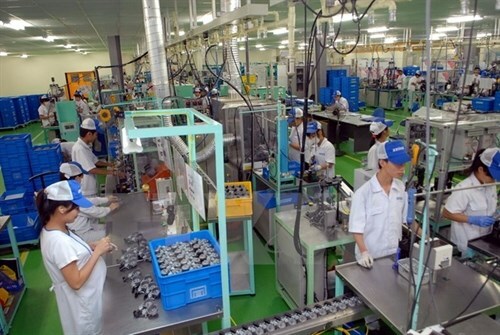 Some businesses with a high number of unemployed workers are Panasonic Industrial Devices Vietnam Co with 197 people, Microsoft Mobile Vietnam Co with 86 and Flexcom Vietnam Co with 166.